Exceptional Service & A System That Works! Larry, Thank you for the very prompt service. Once again you have shown your commitment to customer satisfaction. 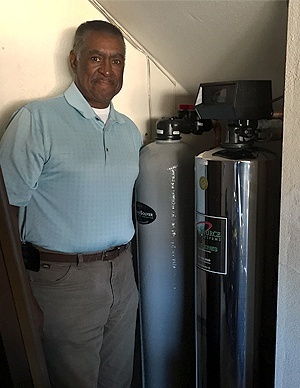 I have heard the stories of people who purchased water systems that either never worked or were unable to get service when there was a problem. This is certainly not the case with you and Life Source. Your service is exceptional, and your system works! 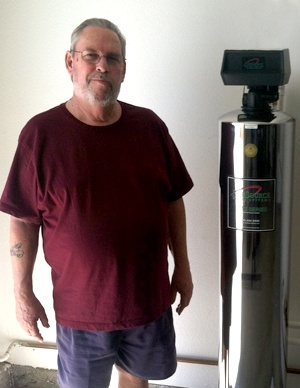 I just installed a LifeSource filter system for my house. I don't have any problems with it but I don't see any improvements either. I'm having a LifeSource rep come and checkout my system to see if it is working as it should. Until then, I'm not sure this system is worth the hype. All I can say is "YUM!" my drinking water has been greatly improved. The taste is fresh and pleasant. Even flowers in the vase last longer. 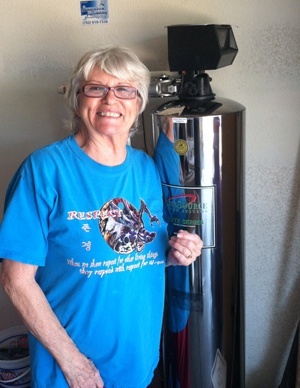 Thanks Lifesource Water! Re-piped the whole house with copper just after getting a Life Source system. 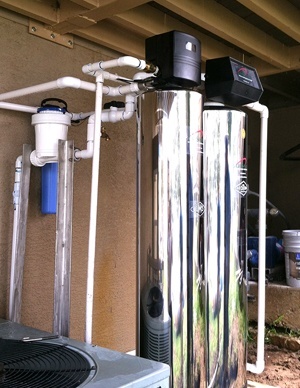 Water is still a little cloudy and doesn't seem quite ready to drink but is much cleaner and less smelly than prior to installation. My husband says the cloudiness is from the new pipes. 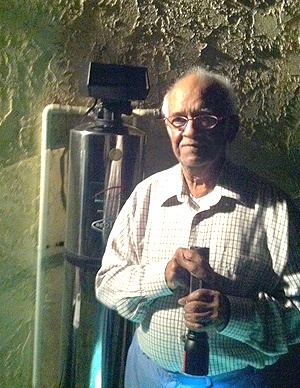 Whatever the case, Life Source is working closely with us to understand and solve our problems. So far; a good choice. 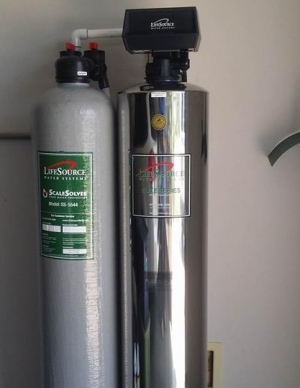 We've owned LifeSource filters for over ten years now and each has been better than the last. The latest version doesn't even have filters to replace, eliminating the last bit of maintenance in an already low-maintenance system. Our systems have always operated smoothly. I noticed my skin and hands are so smooth since getting our new LifeSource system. My hands were rough and now they are so soft. The water is so clean and I no longer see white spots from scale around my faucets. I never knew water could have such visible positive effects, and so fast too! My wife wanted to capture the backwash water for watering our garden but it comes out black each time. 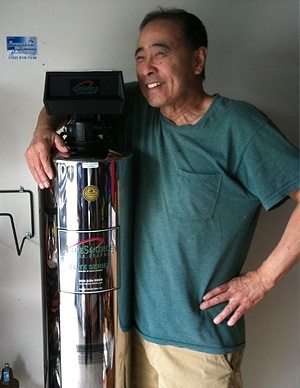 We think it is the result of reversing the flow on the carbon filter. We are working to understand what is going on with help from our service tech. As for the water coming into the house, its spectacular. Crisp and clean as you like. We've had our system for just a few weeks and so far, so good! I am in no way unsatisfied. 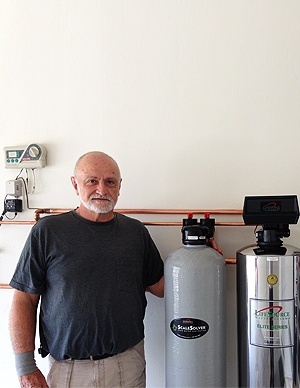 My contractor recommended LifeSource to replace our old broken system. My new system will go for years without maintenance. I don't have to worry about filters or salt. Everything is much better in terms of my water. I no longer have to order fresh water and I can drink straight from the faucet. 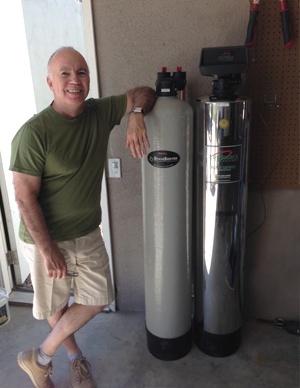 I want to thank you for the water treatment for my house. My family appreciates the delicious and clean water. 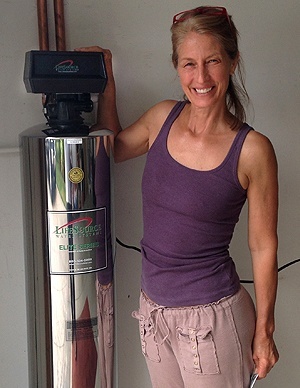 we don’t have to buy any filters or buy bottle water. My family skin and hair is very smooth and we have healthy skin now. I am happy to make the change. Trouble Free, Good Tasting Water! 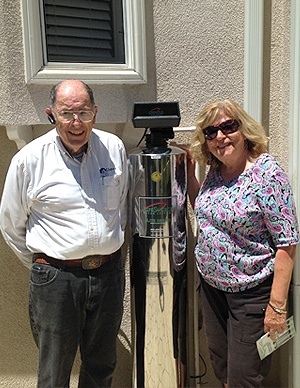 We have been using the Lifesource system since its installation this past summer. I love just knowing the water we are using is cleaner and the fact that I don't smell chlorine and my skin and hair are no longer so dry is why we purchased the system. Thank you! 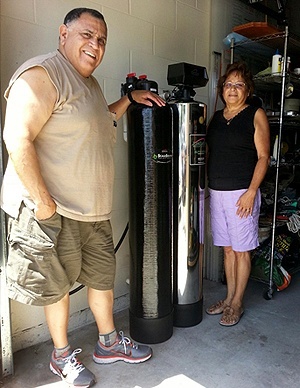 The water tastes a lot better than our Rain soft system, and we are very happy! 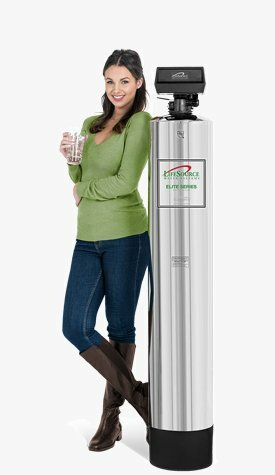 Only just started using our LifeSource filtered water with all the construction we are doing on the house but it is already really good. 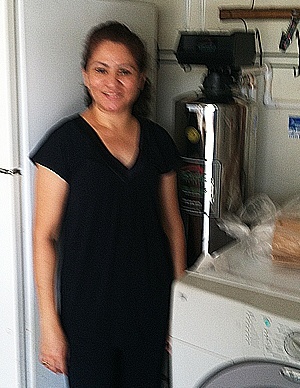 The installers were very professional and the techs who came to check up on the system were great. Lifesource water sure beats hauling bottles from the market. 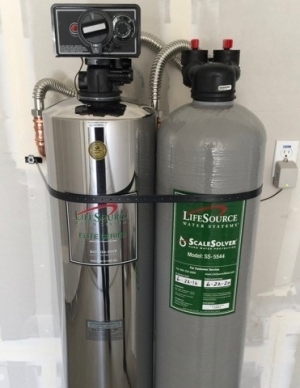 We are not 100% satisfied with the Lifesource product. We still get a white residue on glasses, dishes and other places where water touches. I was told that the system that we purchased would resolve this issue. Other then that, the water seems a little softer but just not seeing the bang for the buck. 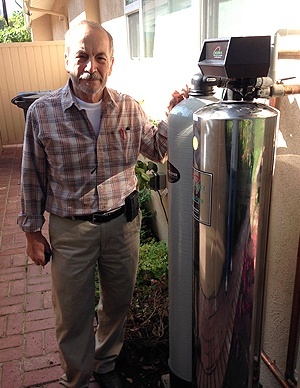 It has been a few months since our LifeSource system was installed; one of the best home-improvement moves we've made. The quality of the water here has improved substantially. We stopped purchasing bottled water from the store; just use the tap water now. It’s much easier to clean the shower doors now that the hard water issue has significantly improved. We’re still getting some scale coming out of the pipes, but that's a good thing even though I have to clean the aerators out. All in all, we’re satisfied so far! Fridge water tastes bad. All other sources taste great. Rep is heading out next week to check our fridge problem. The back wash is making a sound but we adjusted it to go on during the day, not while we are sleeping. 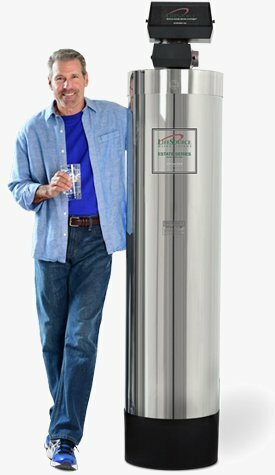 Satisfied with quality water and like to drink it. So happy that there is no more bad taste. reccomended to daughter in law. 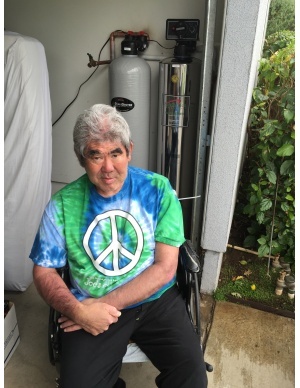 -- LifeSource Has done it! Almost. 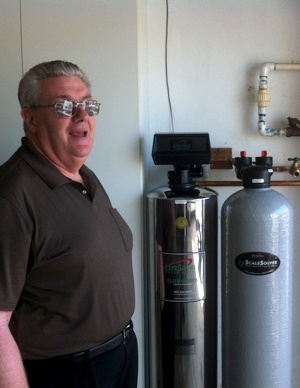 Our house tap water used to taste just terrible, no matter what we did to it. The LifeSource filter fixed all that. However, for whatever reason, the water dispensed from our fridge refuses to improve. We just don't understand it. The back wash cleaning cycle was a little noisy before we adjusted it to run during the day instead of at night. 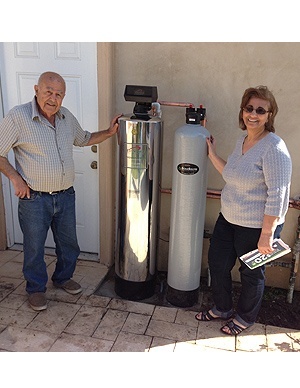 Overall: LifeSource has been a fantastic solution to our water troubles. 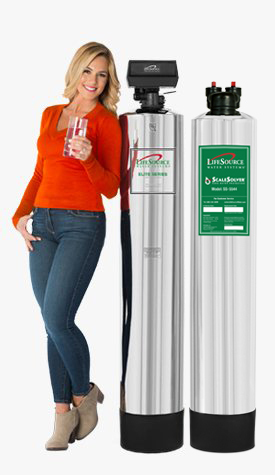 I'm writing this to let you know we're glad we have this lifesource water. We use to buy bottled water and filtered water in stores and this finally solved our problem. We didn't hear about this product until I come across in the magazine . So again I'm happy we have this in our house. 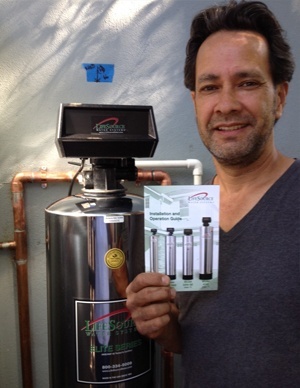 We can now drink water for any faucet in the house and have GREAT TASTING water. After taking a shower/bath one's skin feels better and have to use less lotion. 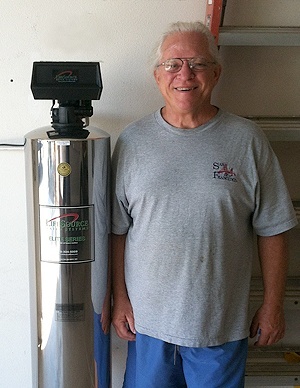 No longer have to buy bottle water for drinking or salt for the water softener. Would recommend Life Source to everyone. I really love this system already. 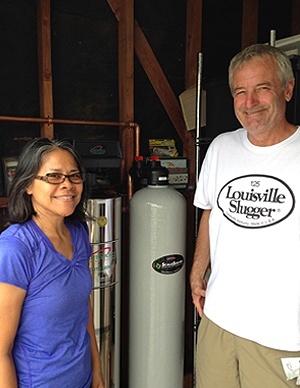 No more drinking bad tasting faucet water or lugging salt bags from home depot to my home. 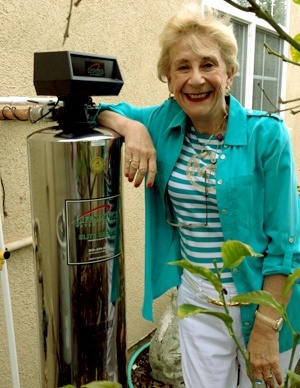 The water taste great and you can drink it from any faucet in your home. Having a two story home I can drink the water from the faucet upstairs, what a relief having not to run up and down stairs. The system stores easily in my Garage. No maintenance needed! The service for ordering and installation of the system is unmatched by any other company I've ever experienced. Best decision for my family. Turnaround was amazingly fast. Done in a very professional manner. Absolutely no pressure for the purchase. They waited on us while we saved for the purchase, then when we were ready had it installed literally the same day. I was amazed. Great job! And the noticable difference in the smell, taste, and feel of the water makes it all worth while. I like the system. No Chlorine anymore. I think it's good. This is my third system and I'm very happy with LifeSource. Every time I move I get a new system. 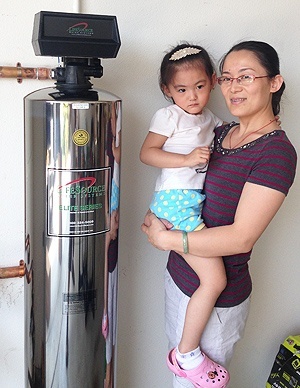 My daughter and neighbor also have systems from LifeSource and they absolutely love it! My LifeSource rep is Roxie and she's amazing, I wouldn't work with anyone else. I highly recommend this system! I had a salt system plus a reverse Aust Moses. I can feel The difference on that squeaky clean feeling I get plus I don't have to lift 40 pound bags of salt anymore. A true blessing and the water taste good. 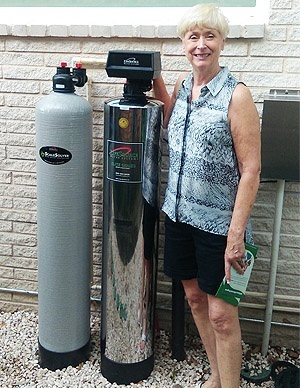 We love our LifeSource System! My installers did excellent work! 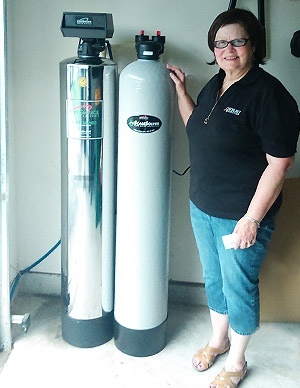 Glad we switched from a Water Softener to LifeSource! Howdy! 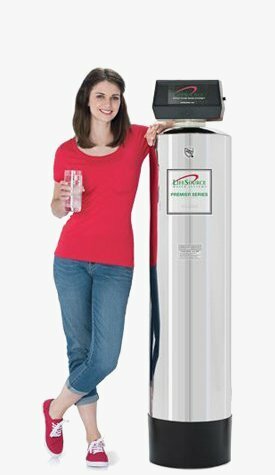 We've had our LifeSource Water system for a few months now. 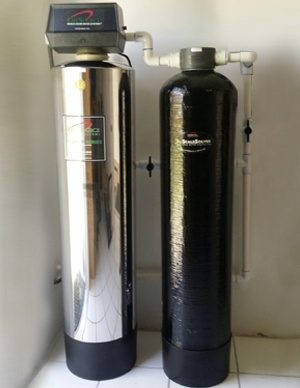 We replaced a water softener system with a LifeSource system and I'm glad we did. The single, biggest benefit I've noticed so far is the quality of the taste of our water now. In short, there is no taste, just good, clean water. I find myself drinking a lot more water since we've had our new system. Makes pure, clear ice cubes too!